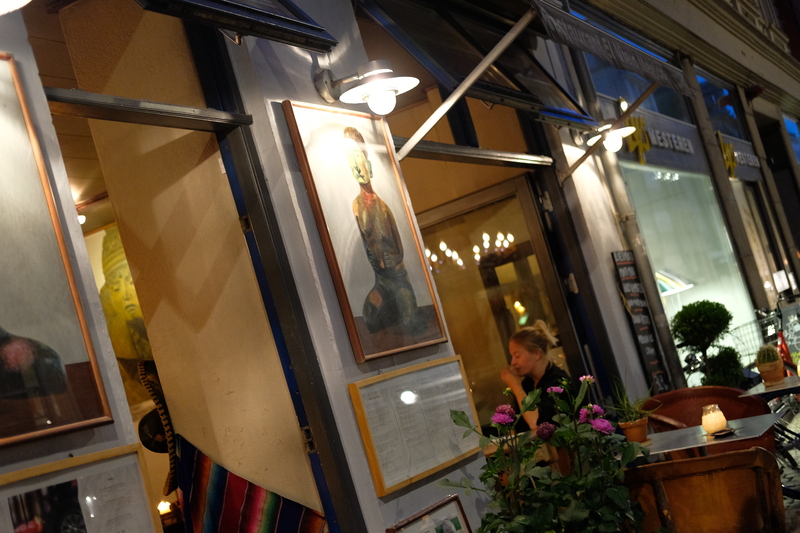 If you ever find yourself in the capital of Denmark, there is one restaurant you must never miss out on, as I previously mentioned in Back to Copenhagen: 7 Things to Do in Spring, and that is: El Viejo Mexico. 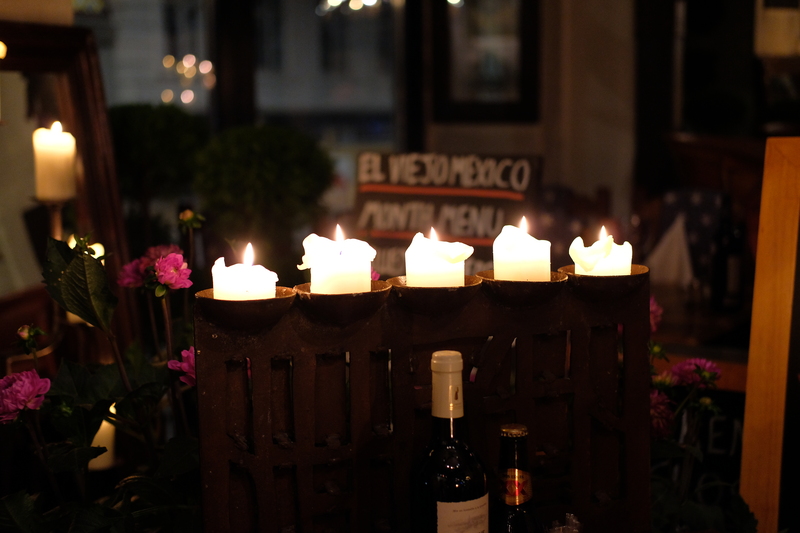 Specializing in Mexican food as evident in its name, it surprisingly is one of the best restaurants in the city. 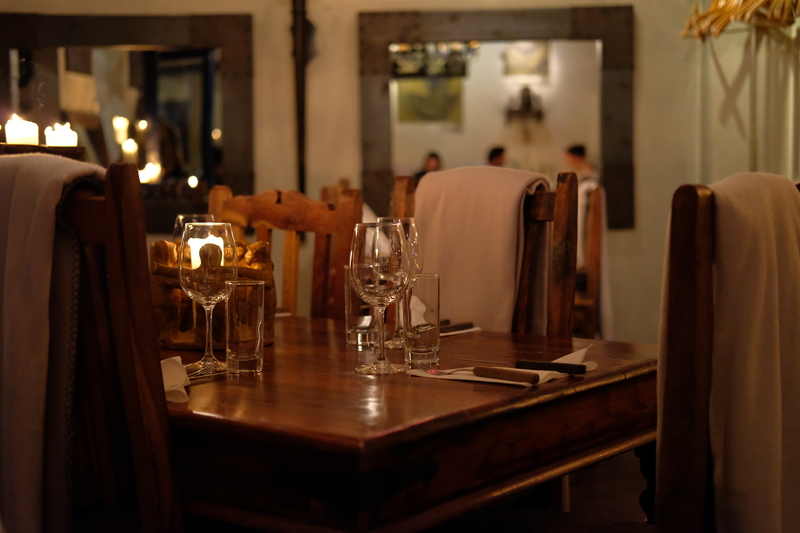 While El Viejo could put quite a dent on your wallet, estimating dinner & drinks at around US$60 per person, it is worth every penny. Located within a few minutes walk from the city’s most iconic attraction – Nyhavn, El Viejo Mexico is easy to get to and well-within an easy walk from most of the hotels in the city center. 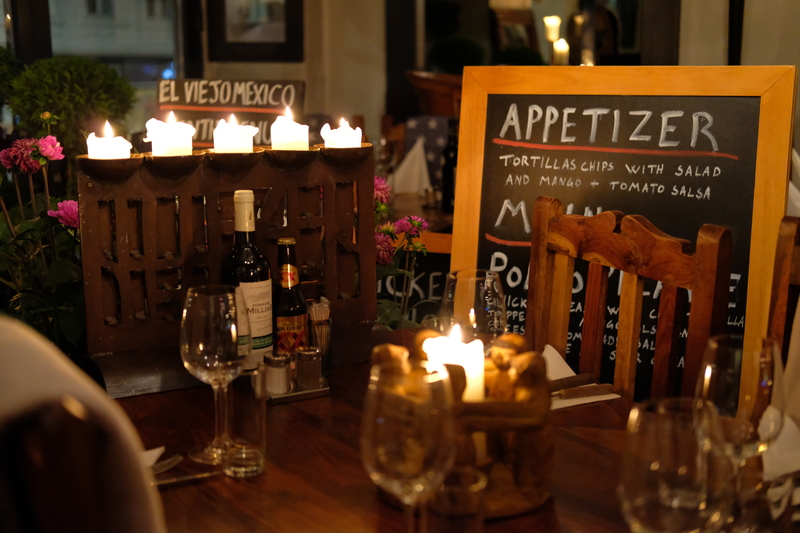 Hailed as the city’s best Mexican restaurant, it transports you out of Scandinavia serving you with authentic Mexican dishes made from the freshest ingredients. 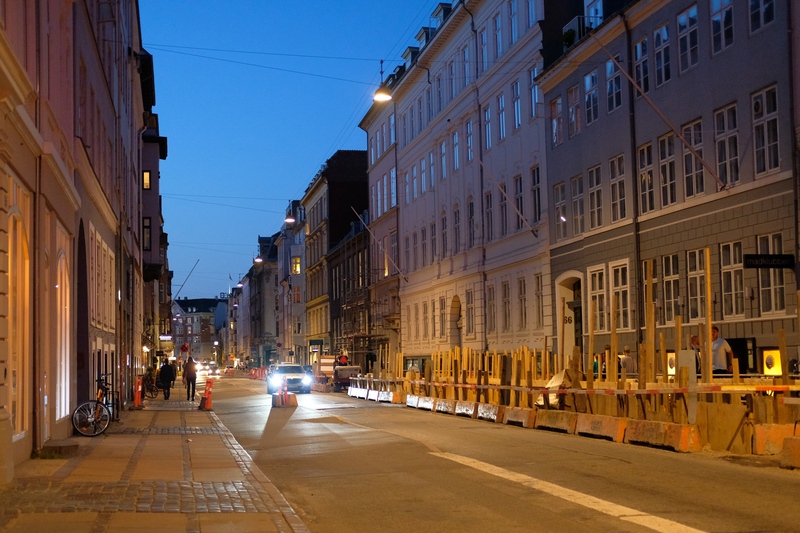 I first came across this restaurant during my second trip to Copenhagen in 2016 with the boyfriend, and after that visit, we knew we had to go back a year later. 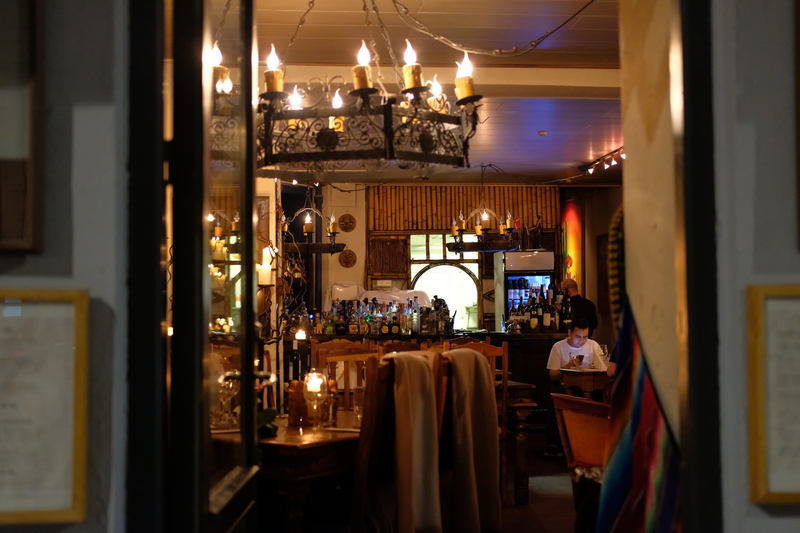 Aside from its fantastic food, its ambiance is another thing you’ll surely get out of your money’s worth. 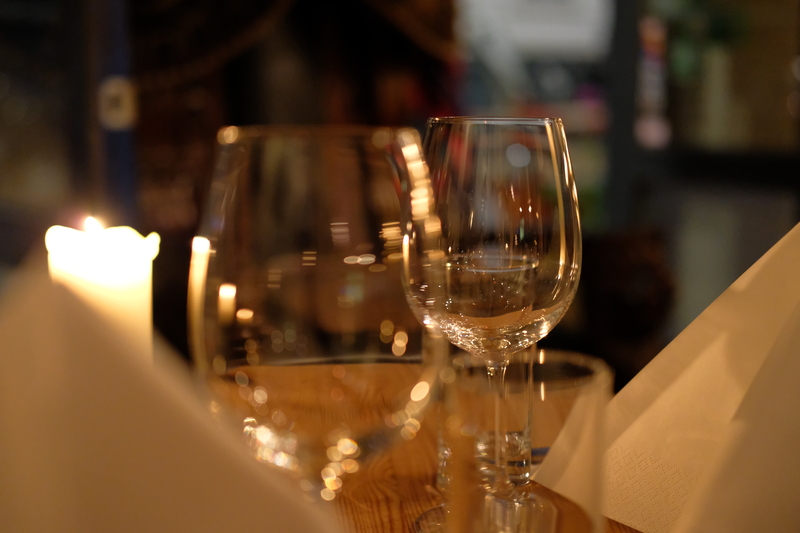 Situated in one of Copenhagen’s inner streets, El Viejo is the perfect place to have an intimate dinner with your special someone or a little dinner celebration with a few of your friends. Awarded with a Certificate of Excellence from TripAdvisor, we surely aren’t the only ones who appreciate this dining gem. 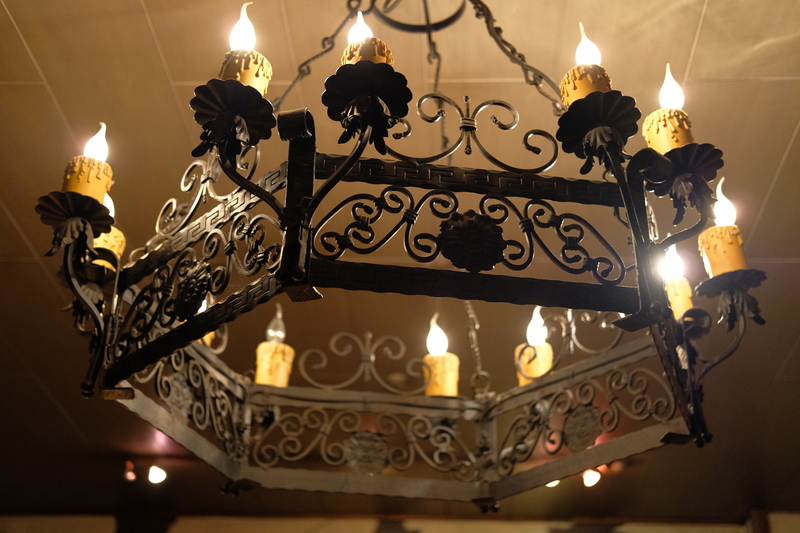 As aforementioned, the restaurant’s ambiance is perfect making it a dining destination you’ll definitely remember for years to come. 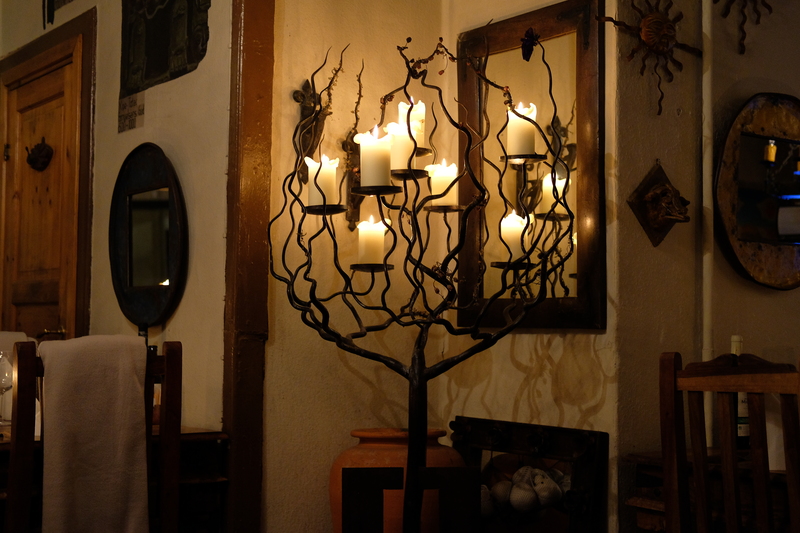 Dimly lit with candles all around, wooden furniture & decors, it takes you far from Scandinavia and makes you feel as if you were transported to another place. And of course, now onto the highlight of this post: the food. 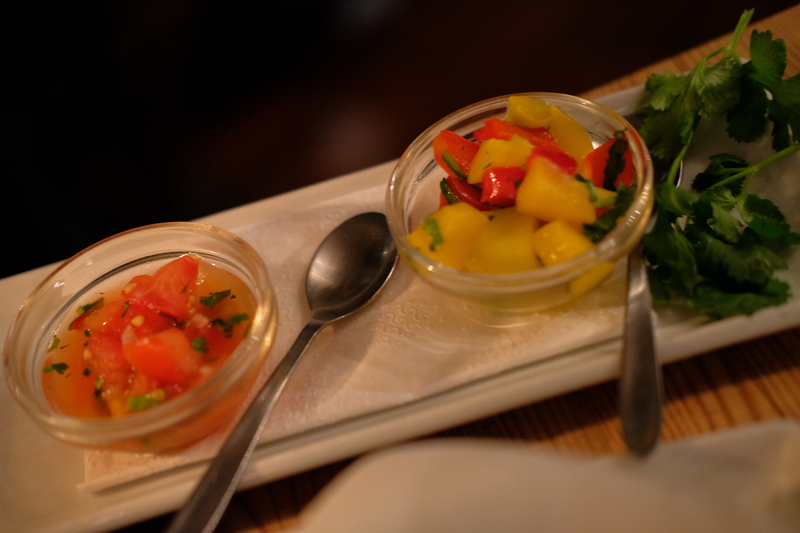 For our appetizers, we ordered their Tortilla Chips & Homemade Salsa (64kr), which were light and deliciously crunchy at every bite. 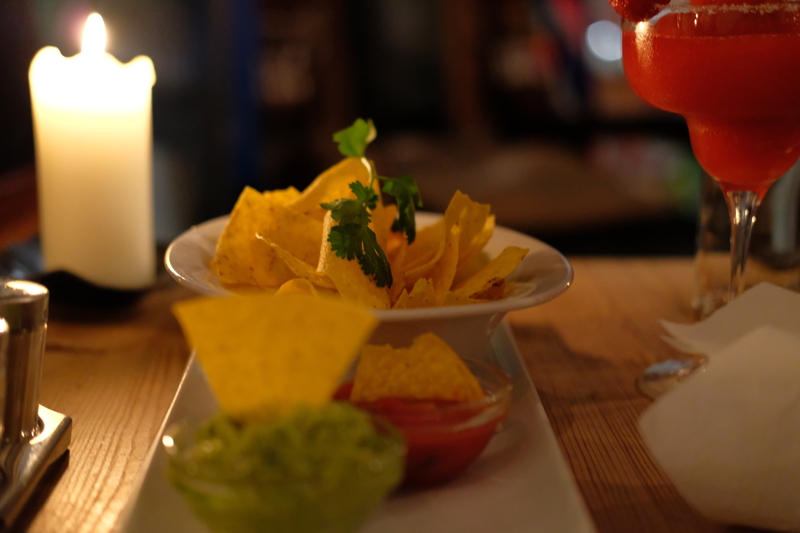 In addition to the salsa, we ordered their guacamole dip (30kr) as well – an addition I highly recommend. 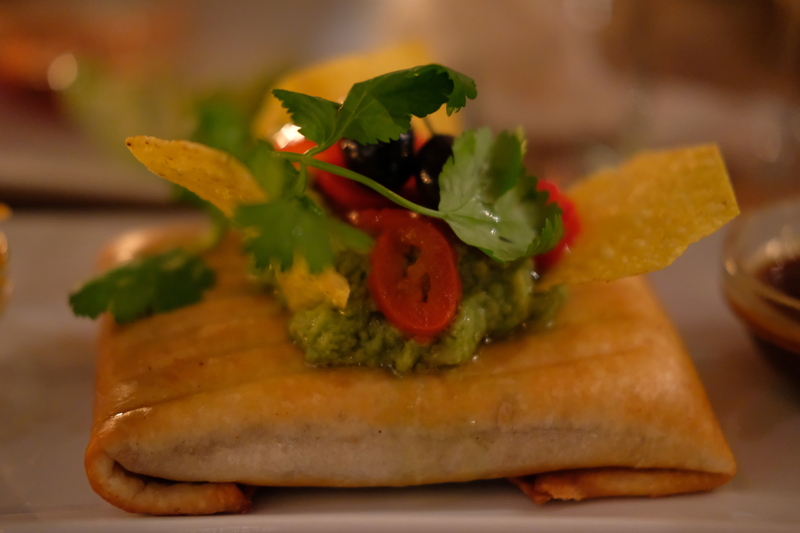 Chimichanga (179kr) – Deep fried flour tortilla filled with a choice of chicken or shredded beef, pinto beans, cheddar cheese and jalapenos, topped with guacamole, served with Mexican rice and spicy sauce. We had ours with the shredded beef and were once again, beyond satisfied with this great Mexican dish. With the right amount of flavor mixing all the ingredients into one as it was served with a generous abundance of sides; the spicy sauce gives you a kick, but isn’t all too spicy. The guacamole on top is the cherry on top of the whole meal, which felt like a deliciously wrapped gift that surely satisfied our taste buds, and left us wanting more. If you ever end up in El Viejo Mexico, try to skip on the usual burritos or fajitas (which I’m 100% sure are good as well, but do try something different for a change like I did), and go with the Chimichangas. 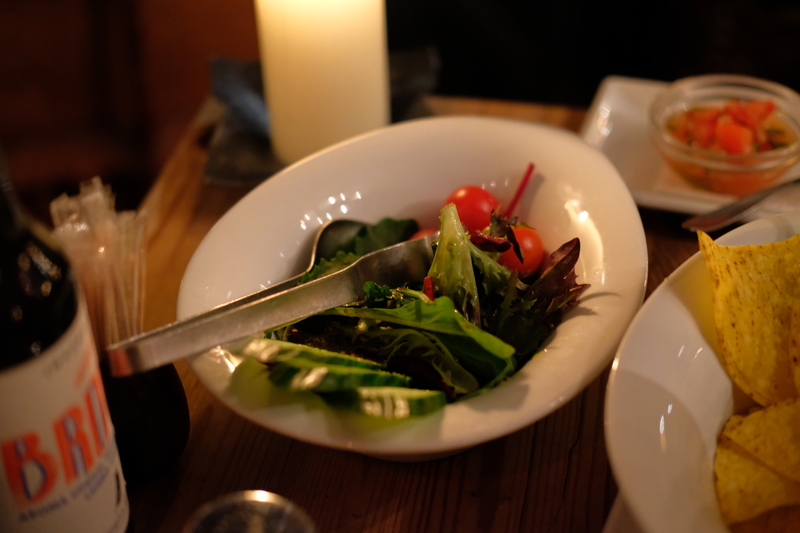 In addition to the main dish that we ordered, they served a complimentary salad bowl that I devoured throughout our meal, and given that it was free made it all the more tastier! 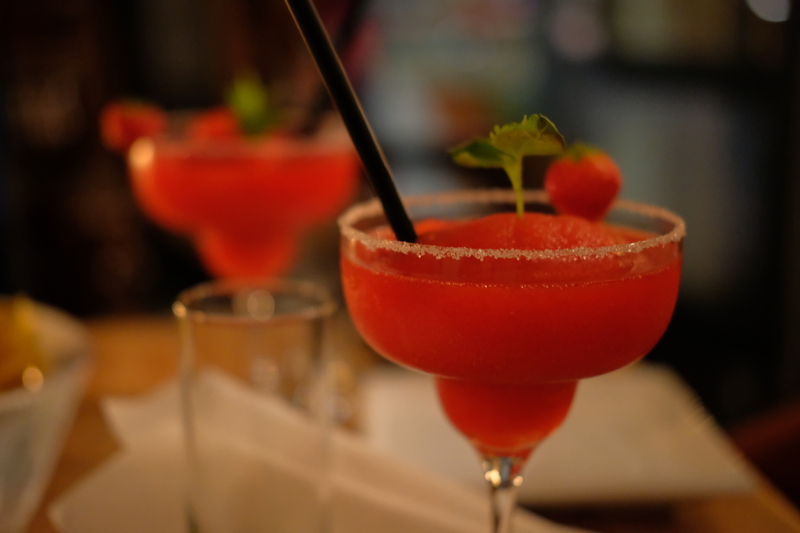 This heaven in a glass is made up of the prime ingredients of Triple Sec, Lim, Cointreau Lime / Strawberry, making it the best margarita I’ve had to date and one you mustn’t miss if you’re ever in Copenhagen. If you’re not in the mood for Mexican food, just go to El Viejo Mexico for the Margaritas and it will still be worth the visit! 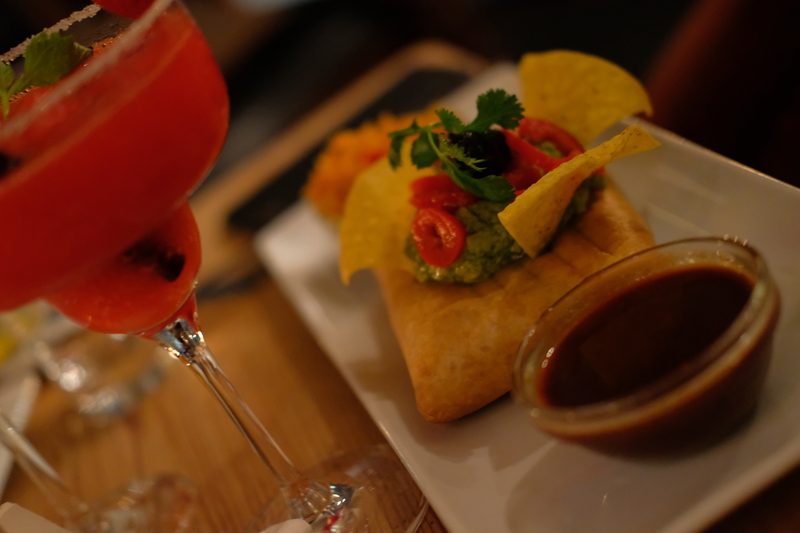 You can also double it up with Mega Margarita (179kr) or order it in a pitcher with the Kande Margareta (490kr). 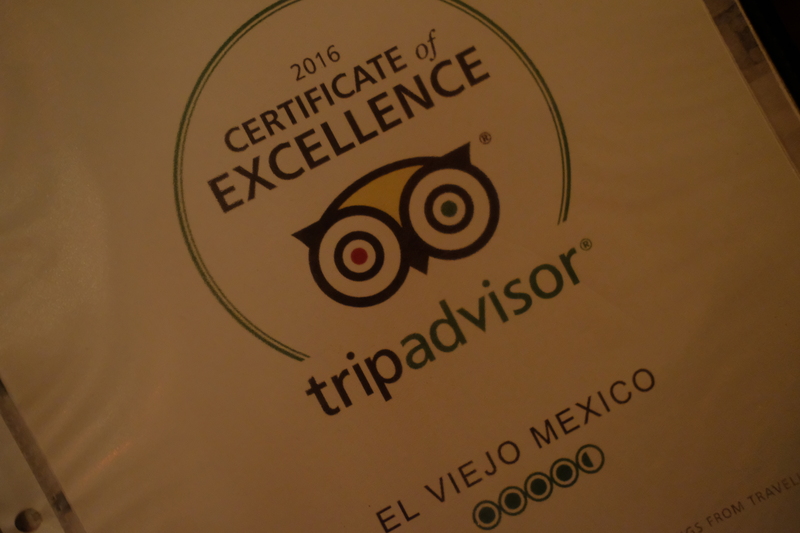 As if the great food & drinks and fantastic ambiance aren’t enough, El Viejo Mexico has impeccable service as well, making this restaurant even of greater quality. 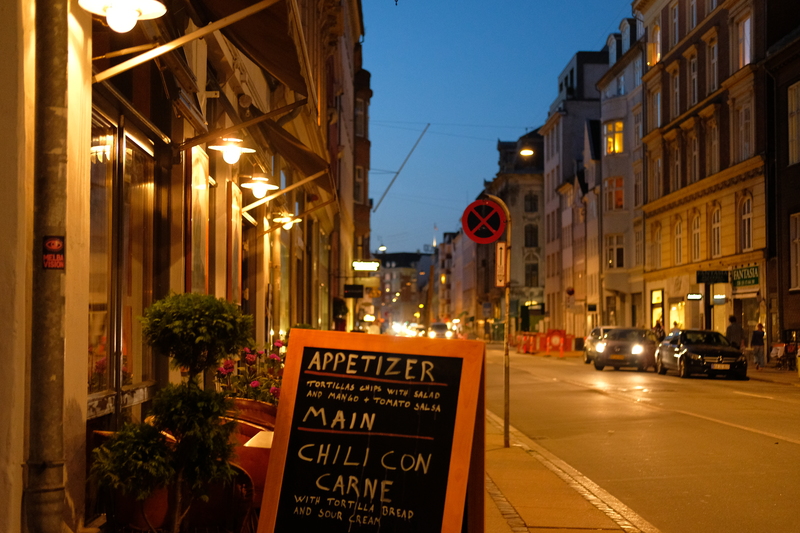 Ending our day with a dinner in this restaurant was a once again one of the best decisions to date, as we almost decided to try out another restaurant but decided to go back to this little foodie treasure, making it one of the main highlights of our last (and my third) trip to Copenhagen. 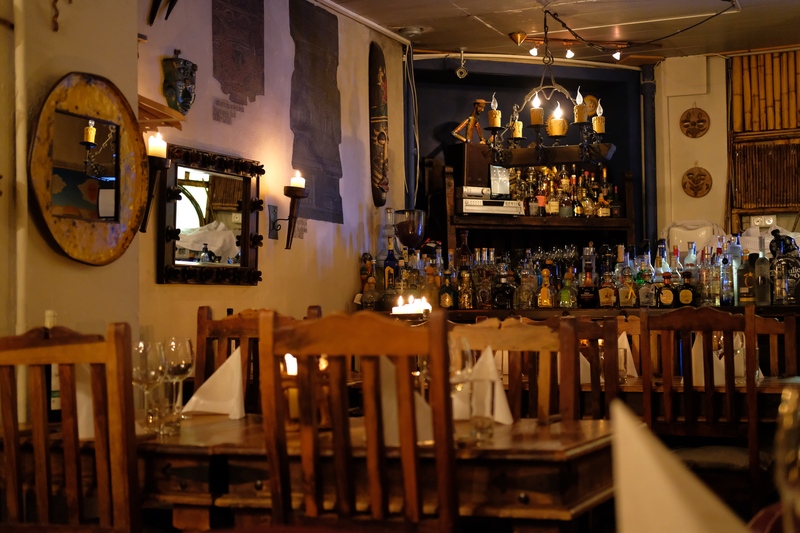 Make sure you don’t miss out on the gem that is El Viejo Mexico – one of the best restaurants in the city – if you’re hitting up the Danish capital and get ready for a dining experience that’ll leave you wanting more.